Caviar is a delicacy made from the eggs of a roe fish. Caviar can be served as an appetizer or as a garnish. 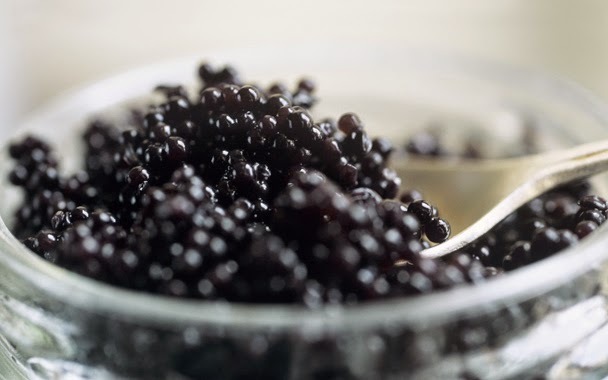 Known for its buttery texture and lusciously salty taste, caviar is also rich in many nutrients. Caviar is abundant in vitamin A. Also considered an important antioxidant, vitamin A is necessary in order to protect your cells against diseases such as cancer. If you have poor or sensitive eyesight then vitamin A can also help improve your vision. This vitamin helps your eyes adjust to the light and dark and prevents sight disorders such as night blindness. If you are worried about the signs of aging like wrinkling and the formation of fine lines on the skin, then you should also seek to include sufficient vitamin A in your diet. Aside from preventing the signs of aging, vitamin A can also benefit your skin by treating other skin conditions like psoriasis and acne. Vitamin A can also help your immune system fight infections, viruses and bacteria. Caviar is also a rich source of potassium. Potassium is effective in lowering blood pressure, so if you are suffering from hypertension then you might want to include plenty of caviar into your meals. Medical experts also claim that potassium can prevent the development of kidney stones. Kidney stones are formed by calcium build-up. Potassium keeps the calcium in your body from forming stones. If you wish to improve your mental abilities then potassium is also an ideal mineral for you. Potassium helps in transporting oxygen to the brain. Potassium is also good for headache relief. Omega-3 is one of the good fats that play a vital role in maintaining good health. Unfortunately, most modern diets are lacking in these good fats. Caviar is a rich source of omega-3. In fact, each cup of caviar may contain more than 1000 milligrams of omega-3 fatty acids. There have also been studies proving that the omega-3 fatty acid DHA may play a role in preventing Alzheimer's. Like potassium, omega-3 is also an essential nutrient for you especially if you are suffering from hypertension. A diet rich in omega-3 can also lower your risk of having a stroke or a heart attack. Vitamin D is another vitamin that can be found in high amounts in caviar. Healthyexposure to sunlight can stimulate production of vitamin D in your body. However, if you spend most of your time indoors or you live in a region where sunshine is not regularly available, then getting plenty of vitamin D from your diet is a good idea. Vitamin D helps your body metabolize certain minerals such as phosphorus and calcium. Vitamin D also regulates your immune system and protects you from viruses. If you have undergone chemotherapy or medical surgery, your doctor might also recommend that you eat caviar regularly. This is because caviar can help the body increase its hemoglobin content. Hemoglobin is a red blood cell component that makes it easier for oxygen to travel throughout your body.